This past year was my most profitable ever as a globetrotting writer…and it’s been a lot of fun too. I spent long summer days in Portugal, Spain and Italy, played digital nomad for five weeks in Cordoba, Argentina and explored Bolivian jungles. A little closer to my home in Brisbane, I swam with manta rays on the Great Barrier Reef and drove all around Tasmania. I’ve been funding all my overseas journeys through freelance copywriting since 2013 and it provides me with an amazing life. I travel wherever I want, whenever I want, for as long as I want. Sometimes I write ‘on the road’ and sometimes I leave the laptop at home. For me, copywriting is the ultimate ‘means-to-an-end’ profession. Basically, my job is to write things like articles, blog posts, product descriptions and online brochures for clients. And I can do it from wherever in the world I happen to be. 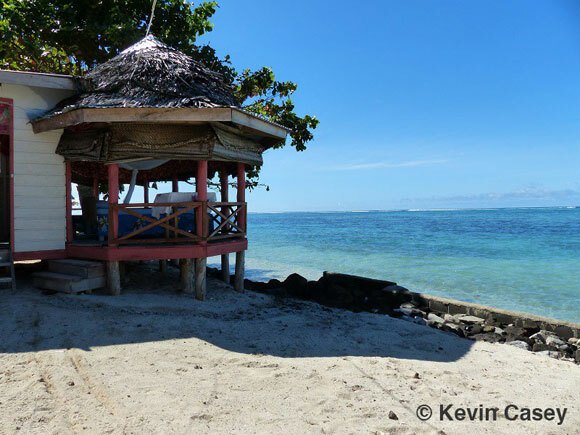 My ‘offices’ have included a bench along the shores of Lake Bled in Slovenia, a modern AirBnB apartment in Argentina, a rooftop garden in Milan and this quiet beach hut on the island of Savaii in Samoa. While here, I spent more time snorkelling and exploring the island’s waterfalls than writing. That’s the beauty of this lifestyle: you decide how to balance work, travel and adventure—on your terms. So, how do you make enough money as a copywriter to travel the globe whenever you like? It all starts with finding the right clients. By ‘right’, I mean clients that (a) pay well, (b) value your skills and (c) hopefully provide steady, long-term work. For example, I sourced one client through my LinkedIn contacts and that single ‘reach-out’ email led to over $45,000 of writing work for over a year. Now that’s what I call a good client! Health, wealth and technology are the three most lucrative target markets for copywriters. If you stick to larger companies, you’ll find they generally pay more and provide more consistent work. Parenting, dating and relationships are also reliable writing niches. Of course, when you do your writing from overseas locations, there are always a few extra challenges. If you’re writing from a cafe, it can be noisy (I prefer writing from a comfortable apartment in an interesting foreign city, preferably on a high floor above the traffic noise). Sometimes foreign wireless signals are weak (I always pack a WiFi booster). 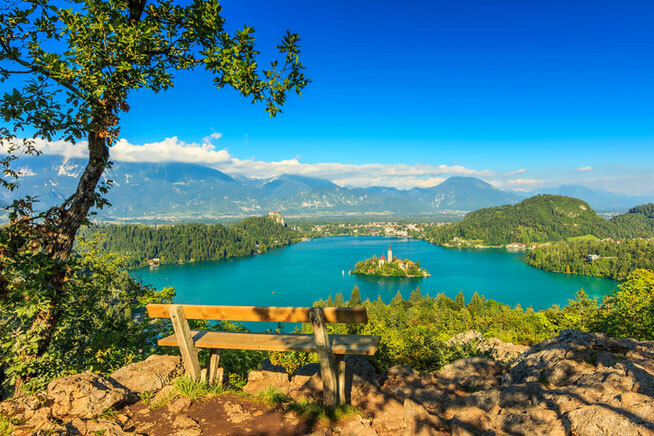 And sometimes, the places you visit are so beautiful or fascinating that it’s way too easy to procrastinate on your writing by hiking through a park, visiting a beach or hanging out with new friends at a local bar instead. Becoming a freelance copywriter is all about flexibility. It fits right in with other types of overseas adventures too, like volunteering, international housesitting or caretaking. If you can make money from writing while getting cheap or free accommodation abroad, you’ve really got it made. And if you have decided to retire overseas, you can write part-time whenever you feel the need for some extra income. Sign up here for IL Australia’s e-letter and we’ll send you a free postcard e-letter five times a week. We’ll also send you a FREE research report on the most desirable—and cheapest—retirement havens available to you today.